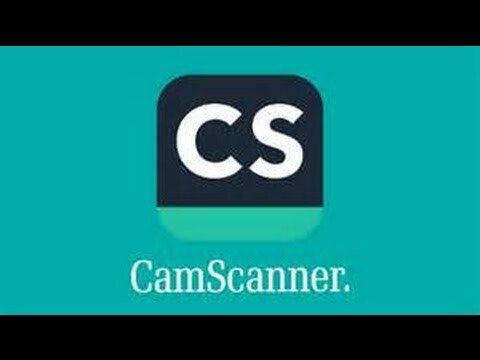 The App for February is CamScanner. CamScanner turns your phone into a user-friendly mobile document scanner. As a teacher, juggling between physical and digital copies can be a hassle. CamScanner solves this by providing a single application to scan, save, archive, and upload all your files on the go. CamScanner is free but offers a monthly subscription service to unlock more premium features or cloud storage. CamScanner has four primary features: Mobile Scanning, Image Editing, Optical Character Recognition, and Document Sharing. Teachers can scan physical documents straight from their phone. This is especially convenient when teachers cannot find a designated scanner or are out of the office. CamScanner offers image editing features such as auto-enhance quality and auto-edge cropping. Do not worry about taking a bad picture. CamScanner will adjust the orientation, quality, and brightness for you. This technology can convert images to text files. Simply highlight the specified region of text and CamScanner will extract its best interpretation of it. Like most other mobile applications, scanned and edited PDFs can be shared through CamScanner. Files can be automatically synced with Google Drive or Dropbox. Collaborate with others via email, Whatsapp, WeChat, or other social networks. Everyone has encountered a situation where they would prefer a digital copy over a physical copy. You can keep CamScanner on your mobile phone in order to stay flexible. Teachers will always juggle between digital and physical documents, so it is ideal for them to always have this option. Furthermore, syncing all your documents into a single application can help with organization and convenience. Utilizing CamScanner’s searching, editing, and OCR features mean teachers will never have to flip through papers to find what they need. Digitizing everything has its perks! CamScanner is available for download on the App Store and the Google Play Store. You can create an account through your email or mobile phone number. Creating an account is necessary in order to sync and upload your files on the app. Try out the scanner by tapping on the Camera button on the bottom right corner. Edit the captured document by utilizing the tools in the bottom tab navigator. Try sharing the document to someone else by tapping on the share icon within the header of the app. Still have questions? Visit the CamScanner website for more information. Look into Camscanner’s premium monthly subscription to see if its features are worth the investment. These features include more cloud space, unlimited uploads, auto sync with other cloud storage systems like Google Drive and Dropbox, flexible permissions, and more. Tell us if you like this app, or if you don’t, tell us what app you use instead. Figured out another way of integrating the app into learning? Tweet us @UBC_ETS! We’d love to hear from you. Want to check out the past apps of the month? Click here.